At Step by Step School of Ballroom Dance, your dream of learning to dance with a partner will come true. Through the encouraging and inspiring teaching style, you will expand your knowledge by learning easy and fun step patterns, which are slowly and clearly explained. As you progress, your step execution will be enhanced by styling and technique tips. In addition, you will experience the joy of dancing as you express your creativity, connect and move in harmony with your dance partner, and become more graceful and confident in your dancing. You will experience greater confidence in any social setting as you put others at ease by your partnering skill. For more information visit the Step by Step School of Ballroom Dance website or call 530.244.0663. * EastCoast Swing is single-time rhythm. Intermediate level is triple-time rhythm. Payment due at beginning of each new dance style. All classes are Beginning Level. Intermediate patterns will be given to those students who have reached a level of proficiency and are ready for more. Please talk to instructor. East Coast Swing: Beginning Level is single-time; Intermediate Level is triple-time. Private lessons ($60/hr) are also available to further improve your ability. Schedule with instructor. Any comfortable clothing that doesn’t bind or restrict movement can be worn. Shoes specifically designed for dancing are, of course, the best choice for both comfort and maneuverability. However, any leather-soled shoes (pumps, loafers, wingtips, etc.) will also suffice. Shoes to avoid are tennis shoes (which tend to grab the floor and cause ankle and knee injuries) and “flip-flops” (which are not controllable). 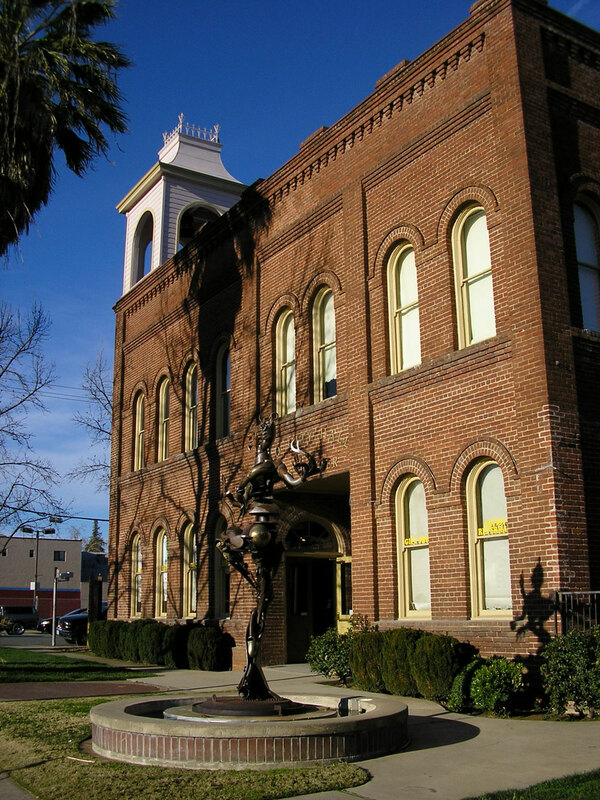 In November 1999, with the help of friends, A Step Ahead Dance Studio began offering dance classes at Old City Hall in Redding, California. The classes cater to those who seek beginning level classes. Our classes are progressive—we start with the most simple beginning patterns and add new patterns each week. Within these classes, we give small amounts of technique in order for our students to add style and grace to their dancing. Major program funding provided by grants from the California Arts Council (a state agency), the National Endowment for the Arts (a federal agency), and the City of Redding. Only on the 4th Saturday of the month if there is a gallery show on display.